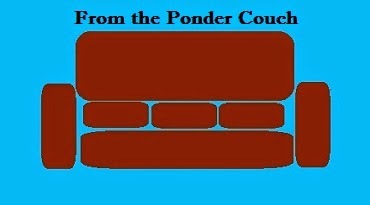 From the Ponder Couch: New Song and a Prestigious Playlist! Those pictures are all me, back when I was the coolest I'll ever be. Also, guys... I made a really great playlist! Compiled by Frank "Dr. Frank" Portman himself! This is a playlist of people covering Mr. T Experience songs, and I'm one of them! That makes me feel pretty good. And earlier in the week Chris Ballew shared my cover of his Caspar Babypants song "Silly Bird"! It's been a good couple weeks as far as people I admire sharing my covers of their songs goes.